Being a Southerner conveys certain advantages upon a Republican presidential candidate. 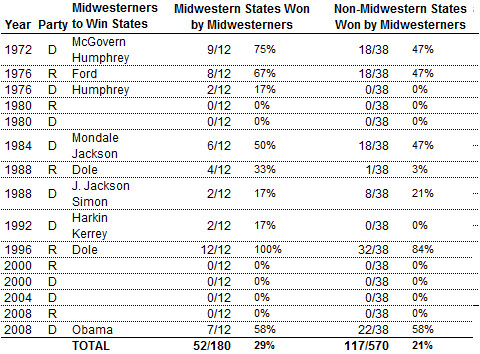 Since 1980, a Southerner has finished first or second in every Iowa Republican presidential caucus. 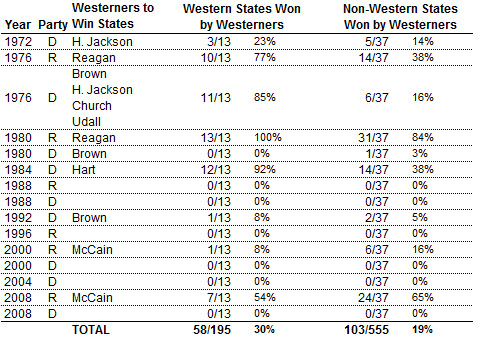 More than 40 percent of John McCain’s voters in 2008 were from the South. Thirty-six percent of Republican National Convention delegates will come from the region. And yet the Republicans, despite the party’s most wide-open field in the modern primary era, may lack a single Southern candidate with a realistic chance at the nomination. There’s no Mike Huckabee. There’s no Haley Barbour. Former South Carolina Gov. Mark Sanford, once thought to be a viable candidate, walked the Appalachian Trail into infamy a long time ago. There’s Ron Paul of Texas and Herman Cain of Georgia. The bettors at Intrade seem to think they have a chance. I’ll keep an open mind — particularly about Mr. Cain, who is viewed favorably by Republicans that have gotten to know him. But the Intrade bettors also thought of Mr. Trump as a plausible nominee. Package all the current Southern candidates together — you can throw in Roy Moore and Buddy Roemer and a Sham Wow or two — and I’d still need something like 20-to-1 odds to take a bet on one of them winning the nomination. I might feel differently, though, if the offer also included a couple of Southerners who have disavowed interest in the race: Texas Gov. Rick Perry and former Florida Gov. Jeb Bush. I assume that neither is likely to to run — but if they did, they’d have some significant geographical and tactical advantages. The White House has been occupied by a Southerner — counting the Massachusetts-born and decidedly patrician George H.W. Bush, who resided in Texas at the time he ran for office — in 30 of the past 46 years. I’m not sure this is entirely a coincidence. One reason behind the success of Southern candidates may be that, in competitive primary elections, the region offers a larger home-field advantage than the other parts of the country. 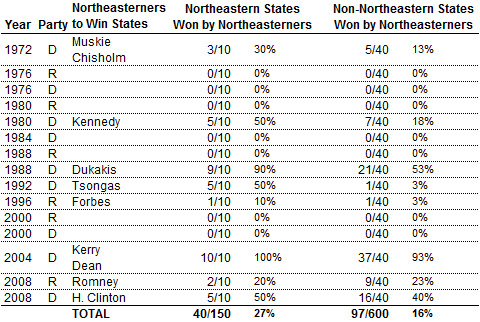 Since 1972, there have been 15 competitive presidential nominating battles — excluding occasions on which an incumbent president ran against only token opposition. 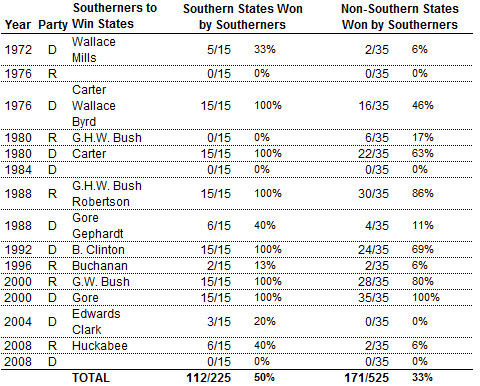 Southern candidates have won 38 percent of the states overall in these years. As with most types of data derived from the study of presidential elections, which are subject to small sample sizes, we should be careful about claiming any kind of scientific certainty. And I can imagine more rigorous approaches than the one that I have adopted here. Nevertheless, I suspect that the differences have considerable grounding in reality, simply because the South is more culturally coherent and has a stronger regional identity than the other parts of the country. That is, the typical Alabaman has more in common with the typical North Carolinian than the typical Michigander has with the typical Kansan, or the typical Californian with the typical Montanan. 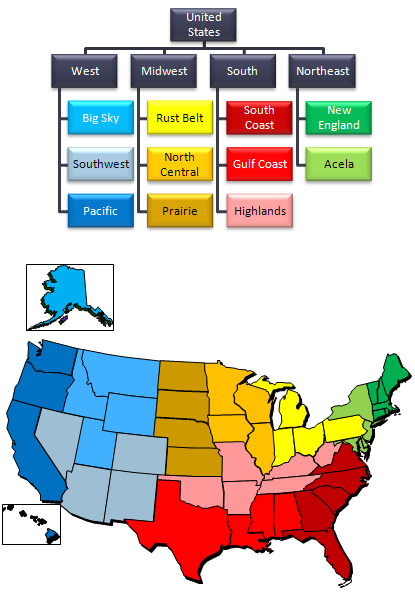 There are some sub-regions that might rival the South in this department — New England, for instance, a component part of the Northeast, is quite culturally and demographically coherent. But New England, with barely more than 5 percent of the nation’s population, can’t offer the electoral advantage that the South does, which has about 35 percent. If a candidate dominates the South — and it’s much easier for a Southern candidate to do that — he’ll have made a lot of headway into winning the votes and delegates that he’ll need to secure his party’s nomination. Certainly there have been regional and factional candidates — think George Wallace, for example — who did well in the South but poorly elsewhere. But a candidate like Mr. Perry, who would have advantages like fundraising and establishment support that would extend to all corners of the country, might be more like Bill Clinton and George W. Bush, doing very well in the South and still well enough outside of it to win his party’s nomination. For a Republican candidate, in fact, this advantage may be especially powerful because of a demographic quirk related to Iowa, the first and most important state in the nominating process. Some 60 percent of Iowa Republican voters are born-again Christians — about the same fraction as in many Southern states. That’s why Southern Republicans have done so well in the state. Now we can imagine an even more advantageous path for a candidate like Mr. Perry. He’d stand a good chance at doing well in Iowa, and if he did, he’d probably follow it up with a win in South Carolina, and possibly also Florida. And then he’d pick up plenty of delegates in the Southern states that voted on Super Tuesday and beyond — including of course Texas, which itself accounts for 140 delegates. So don’t sell the Southern Republicans short yet — the advantages the primary system offers to candidates like Mr. Perry could be more than enough to make up for a late start.